Readers of classic mysteries love a mystery set in Oxford and a murder in the theater, and this book contains both. A cast of professional London actors are gathering in Oxford to perform the premier performance of the play Metromania by noted dramatist Robert Warner. 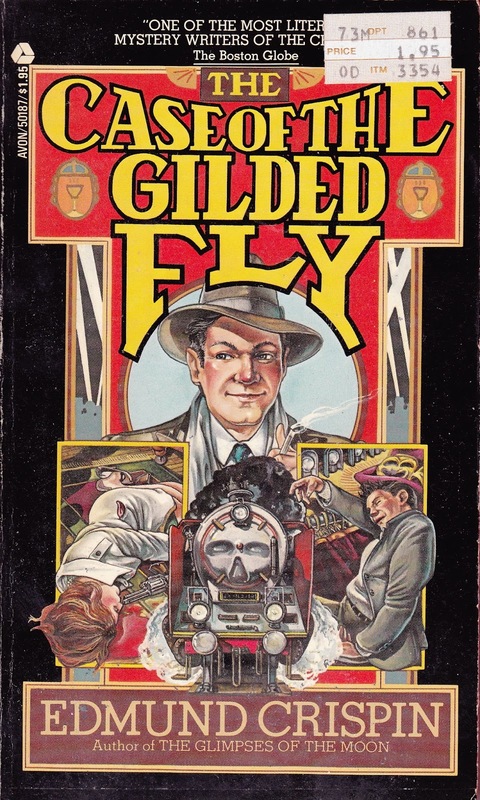 Edmund Crispin cleverly presents the major characters in this novel as they ride the trains from London to Oxford. On board is Gervaise Fen, professor of English Language and Literature at Oxford University: Fen would much rather be solving mysteries than criticising literature. Also there is Sir Richard Freeman, Chief Constable of Oxford, who would rather be criticising literature than solving mysteries. Others on the train include Robert Warner and his actress companion Rachel West, Yseut Haskell, a mediocre actress and an annoying personality, and her sister Helen Haskell, a good actress and a pleasant person. Also on the train, Donald Fellows, an organist at Oxford who was much absorbed in his music and in his interest in Yseut Haskell. Also, there was Nicholas Barclay who was one of my favorite characters. He had started studying literature at Oxford, realized that there was no end of the criticism of literature, and abandoned his studies in order to read Shakespeare. He had read so much Shakespeare that he managed to memorize a great deal of it. It was now possible for him to simply "sit and think Shakespeare to the annoyance of his friends who regarded this as the limit of idleness". Also arriving was Nigel Blake, a journalist and an Oxford graduate who was using his vacation to visit Oxford again, and to see Metromania and Helen Haskell with whom he had fallen in love although he had only seen her perform on the stage. Readers will view a great deal of the action in the book through Nigel's eyes. The rehearsals of the play started, there was a party which all the characters attended, and some managed to get others annoyed. Then there was the murder which appeared to be impossible. Poor Inspector Cordery wanted to call it suicide. Cordery had a somewhat limited imagination, a strict sense of morality, and was bested by the Oxford intellects. Gervaise Fen, however, was sure it was murder and was sure who had done it shortly after it occurred, but Fen needed more time to put all of the pieces together which he would do quite efficiently. The method of committing the murder is a bit hard to believe as is the motive of the murderer. However, If you like your crimes clever, your characters educated and witty, and a bit of humor to top things off this is the book for you. This was Edmund Crispin's first mystery novel and was written in 1944. Crispin is the pen name for Bruce Montgomery who was an Oxford graduate, organist, and composer of music. Gervaise Fen is a delightful character who is clever, erudite, and given to clever sayings and an occasional Latin quote. 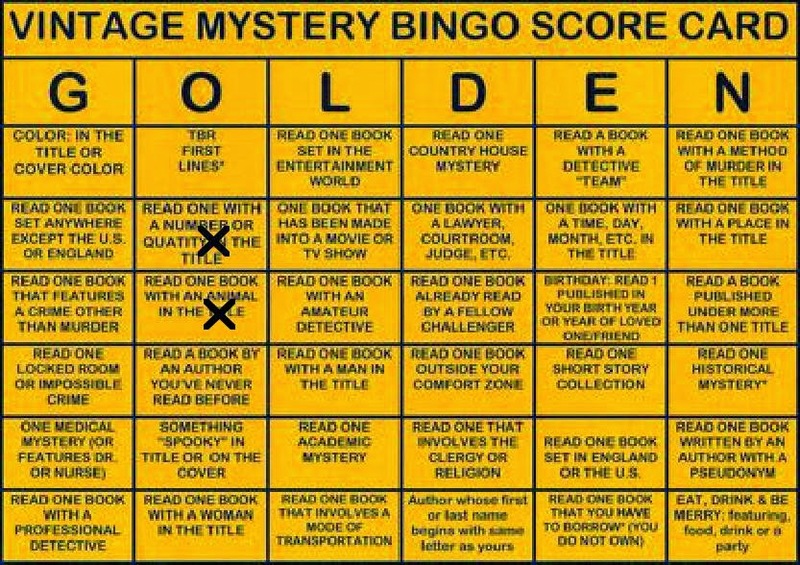 I have read this book for the 2015 Golden Mystery Challenge in the category of a book with an animal in the title. It is a very small animal, and it is gilded and is a clue. Check out King Lear, Act 4, Scene 6. This book is still in print thanks to Felony & Mayhem Press.